F1 colleagues and friends including Bernie Ecclestone and Herbie Blash have paid tribute to former FIA Race Director Charlie Whiting who passed away in Melbourne. 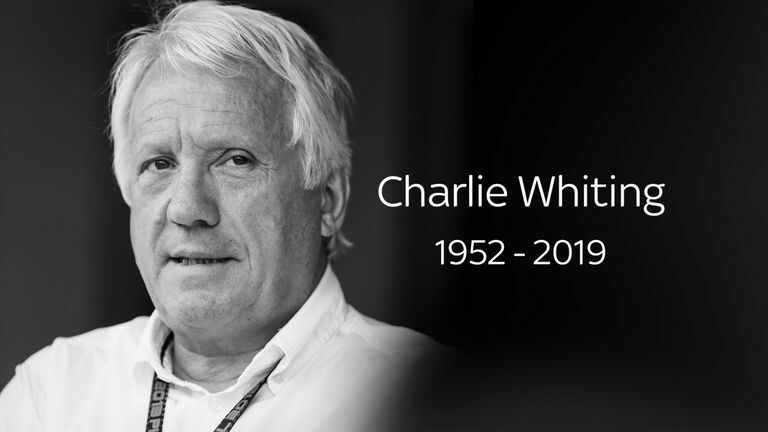 Remembering Charlie Whiting: Sky F1 pays tribute to Formula 1's influential and highly-respected race director, speaking to those who knew him best. Whiting's passing on the eve of the Australian GP cast a shadow over the season-opener, with tributes flooding in from up and down the paddock and pit-lane all weekend. "He was the centre of gravity of an F1 race and season, and won't be replaced by just one person," says Sky F1's Martin Brundle in our special feature, which aired on Sunday morning. The tribute includes emotional interviews with Bernie Ecclestone and Herbie Blash, who worked closely with Charlie for many years, as well as F1 chief Ross Brawn. Watch the special tribute to Charlie Whiting by clicking play on the video at the top of the page.